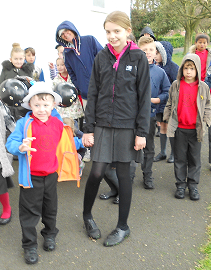 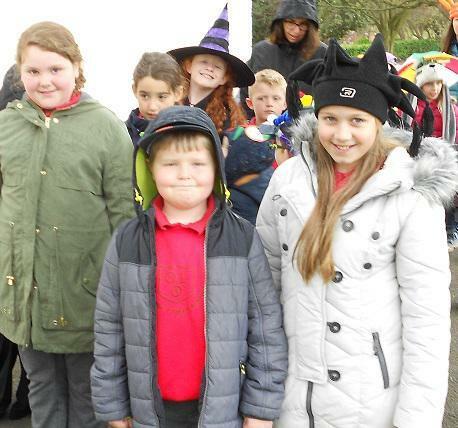 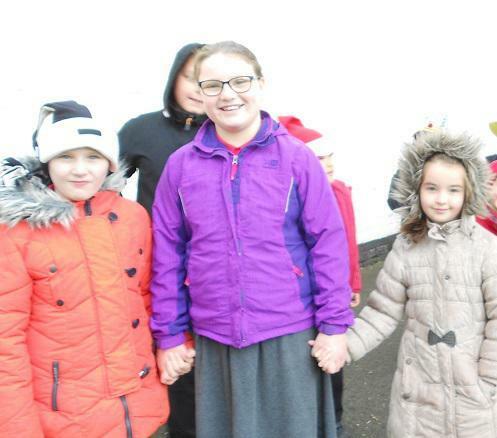 Despite the damp weather the sponsored Crocus Walk took place today in Cae Glas Park and all our children participated to raise funds for Oswestry Rotary Club's End Polio Now Campaign. 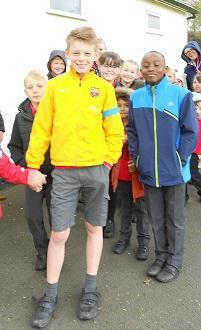 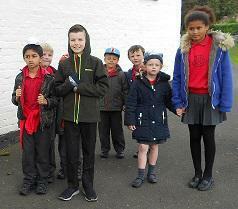 The school raised £256 and we are very grateful to everyone who sponsored our children. 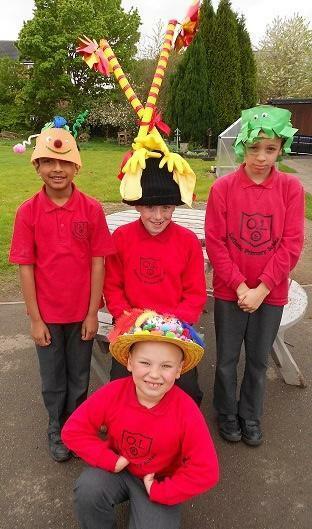 The Hat Competition resulted in some interesting hats with Wamboi, Alex (St Francis), Samarth, Alex (St Martins), Toby and Bryn being declared winners. 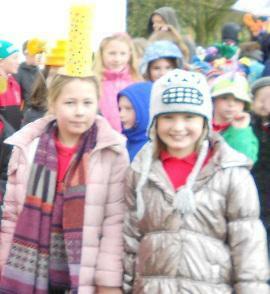 Thank you too to the band of volunteers whose support ensured we were able to make this a whole school event.